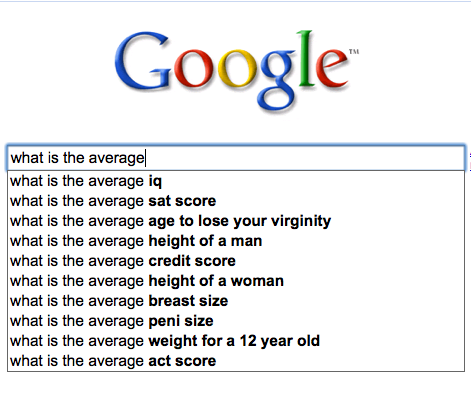 It’s particularly interesting when you type out generic questions — of the sort of who, what, where, when, why — and how because it aggregates across all questions that begin that way. 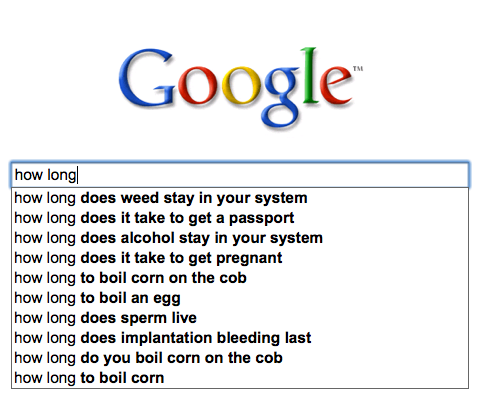 Here is what you you when you begin typing “how long” into Google. It’s not what you think! Essentially it seems that people care about substances in their bodies, corn and pregnancy (with a shout-out to international travel). 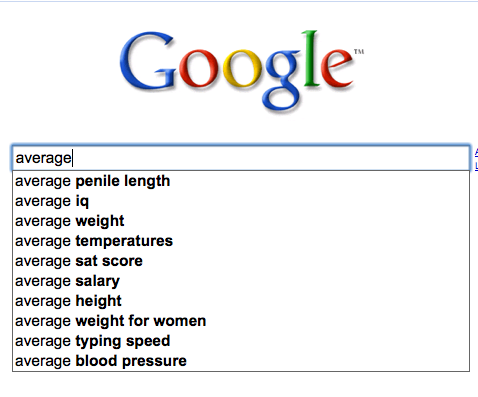 If you rephrase it to just “average,” temperatures and typing speed also make an appearance. 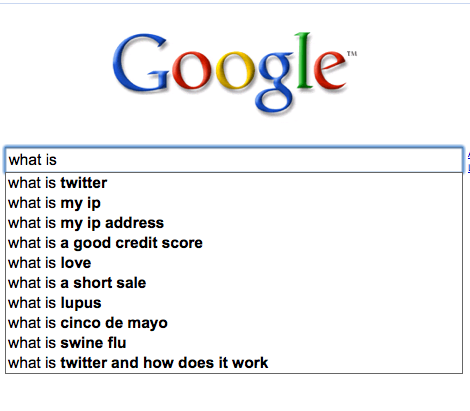 And last, if you type in “what is,” you can see Twitter is really confusing people.